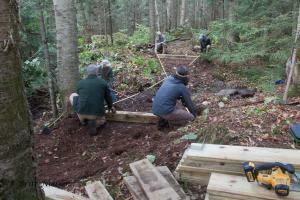 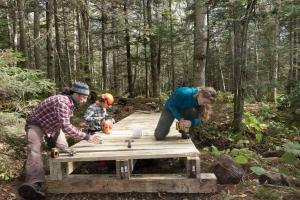 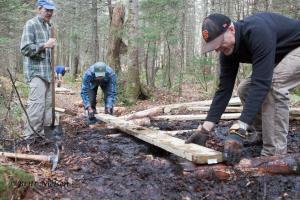 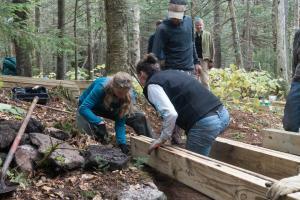 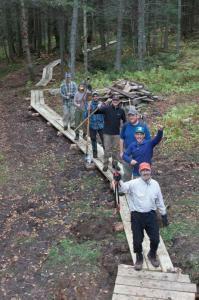 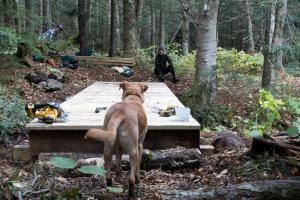 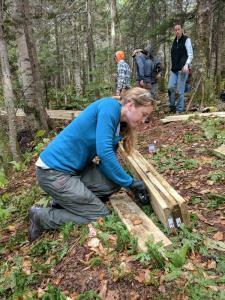 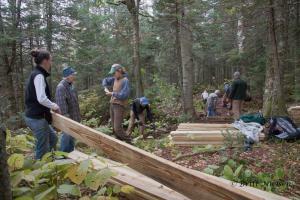 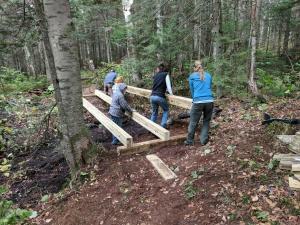 BoltonFriends including very capable volunteers from VT Youth Conservation Corps, led by Dan Schmidt, and Ken Brown from VT Forest Parks and Recreation constructed three bridges on lower Birch loop, one 19 feet long, and on Oct. 14th built puncheons over wet areas in front of Bolton Cabin. 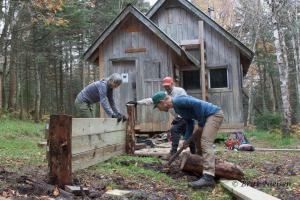 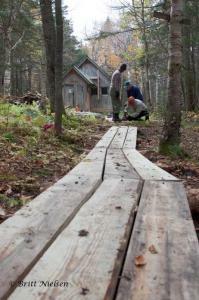 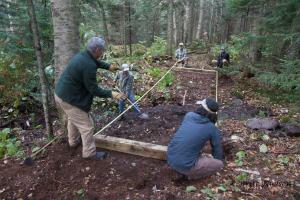 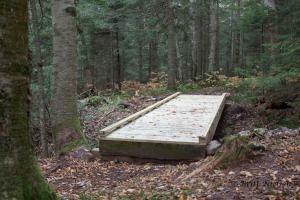 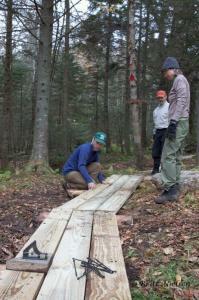 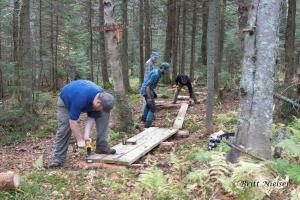 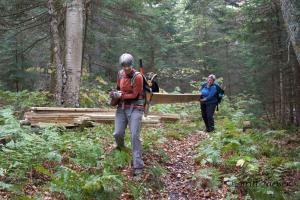 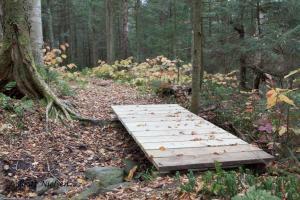 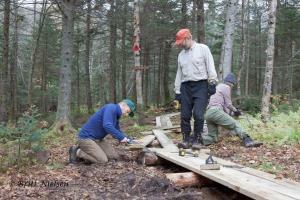 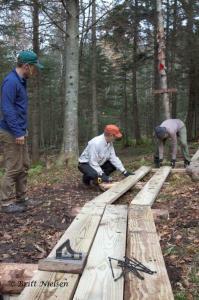 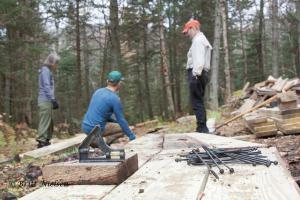 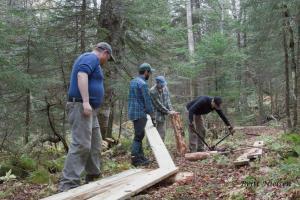 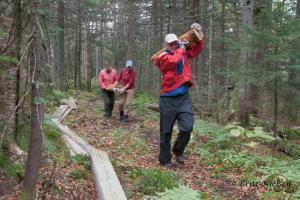 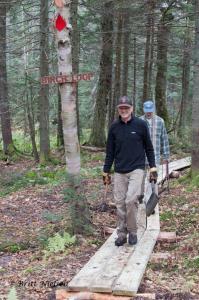 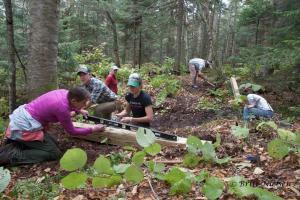 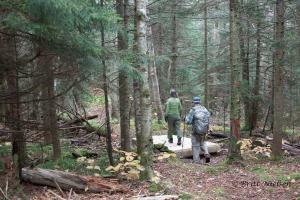 The lumber was paid for by a grant from Outdoor Gear Exchange. 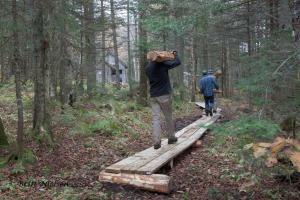 Video and most photos by Britt Nielsen.